Cats are fascinating creatures. Here are answers to 10 questions people ask about cats. You may find different answers to some of the questions if you do your own internet research. It is widely known a male cat is called a tom, but did you know a female cat is a queen or molly? What name is given to a group of cats? My internet search came up with the word clowder most often, but I also found glaring, pounce and clutter. How many hours do adult cats sleep each day? Cats aged 3 to 10 years tend to sleep 13 to 16 hours on average. Kittens and old cats sleep in excess of this and may clock up 20 hours a day, or more. 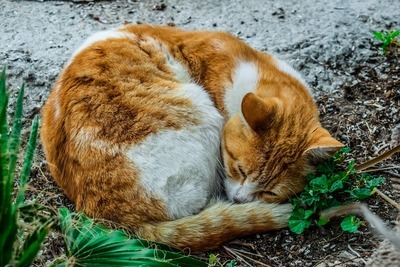 Cats have a different pattern of sleep than humans, going through a cycle of light sleep, deep sleep and back to light sleep. When a cat is in the light sleep phase their whiskers and eyelids may twitch. Although people often say cats are nocturnal, they are really crepuscular. This means their most active times are around dawn and dusk, when there is some light but not a lot. How many domestic cats are there in the world? Some sources estimate there are over 500 million domesticated cats worldwide. However, there are widely varying answers to this question. How many breeds of cats are there worldwide? This doesn't have a simple answer. 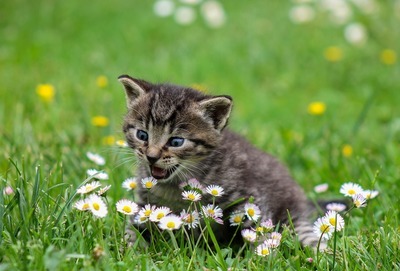 Some of the major cat organisations disagree about how many different breeds there are with some saying shorthair and longhair versions of a specific breed should not be considered different breeds. The Cat Fanciers Association, the largest cat registration organisation in the world (its headquarters are in USA) recognises 40 breeds. However, the largest European cat registration organisation (Federation Internationale Feline) claims there are 43 breeds. 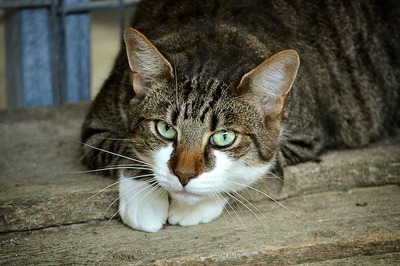 The International Cat Association recognises 60 cat breeds. Is there another name besides litter for a group of kittens? A litter can also be called a kindle or intrigue. How many kittens are usually in a litter? The average litter is 3 to 5 kittens but this can vary. The largest recorded litter consisted of 19 kittens and 15 survived. It's another name for a hairball. The Egyptian Mau is credited with being the fastest breed of domestic cat and can travel at a top speed of about 49 km per hour (31 mph) for a short distance. How long did the oldest cat on record live? Creme Puff, who died in 2005, lived 38 years 3 days and was in the 2010 Guinness Book of Records. He was owned by Jake Perry who had another cat, Granpa who lived 34 years 2 months. Both cats had a diet which included eggs, bacon, broccoli, asparagus and coffee with cream, not your average fare to feed a feline. If you know something interesting about cats, write about it in the comment box.